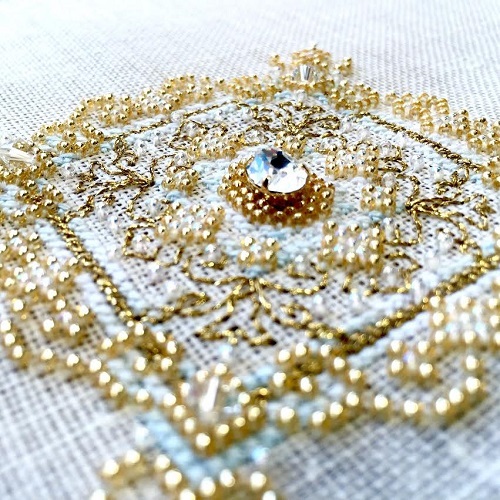 Cross Stitch Patterns by Shannon Wasilieff of Shannon Christine Designs. You can find many of my cross stitch patterns published in upcoming cross stitch magazines such as Cross Stitch Crazy and The World of Cross Stitching! My designs have also been published in the Turkish magazine Kanavice and Cross Stitch Collection. Most of the published designs are available as a PDF file 6 months after publication. If you have any questions regarding the availability of a design or if it will be available please do not hesitate to ask using the contact form on this site. Published in issue 250 of The World of Cross Stitching, January 2017. Published in issue 249 of The World of Cross Stitching, December 2016. Published in issue 247 of The World of Cross Stitching, September 2016. Published in issue 224 of Cross Stitch Crazy, 2016. Published in issue 267 of Cross Stitch Collection, 2016. Published in issue 270 of Cross Stitch Collection, January 2017. Published in issue 246 of The World of Cross Stitching, 2016. Published in issue 240 of The World of Cross Stitching, February 2016. Published in The World of Cross Stitching issue 234 on September 13, 2015. Companion piece to the Snow Queen. Published in The World of Cross Stitching issue 235. Published in Cross Stitch Collection in 2013. Published in The World of Cross Stitching issue 228 in March 2015. Published in The World of Cross Stitching issue 227 in February 2015. Model stitched by my mom and I.
Santa was published in Cross Stitch Crazy issue 208 on September 3, 2015. Published in Cross Stitch Crazy issue 207 on August 6, 2015. Published in The World of Cross Stitching issue 232 on July 16, 2015. Uses a black work technique for the lace details. Published in The World of Cross Stitching issue 231 on June 18, 2015. This was a special design for my brother and my sister in law's wedding.